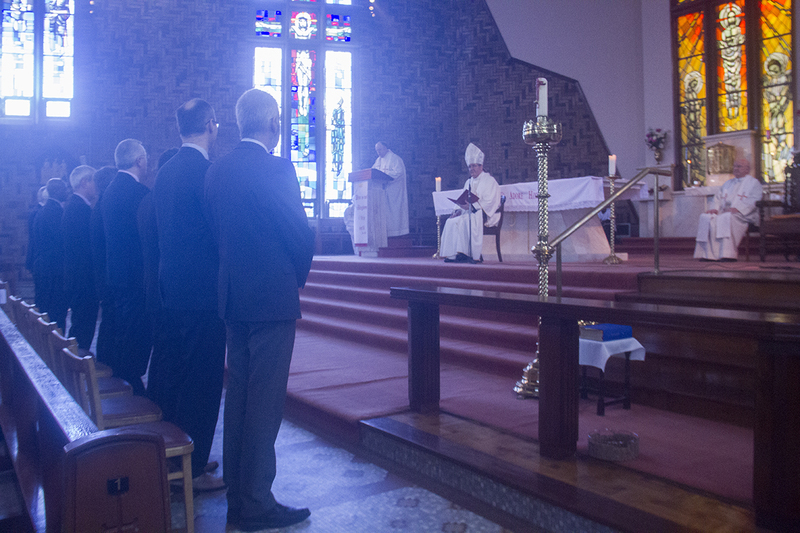 Nine men who are preparing for ordination to serve as Permanent Deacons in the Diocese of Cloyne were instituted by Bishop William Crean with the ministries of Lector and Acolyte. 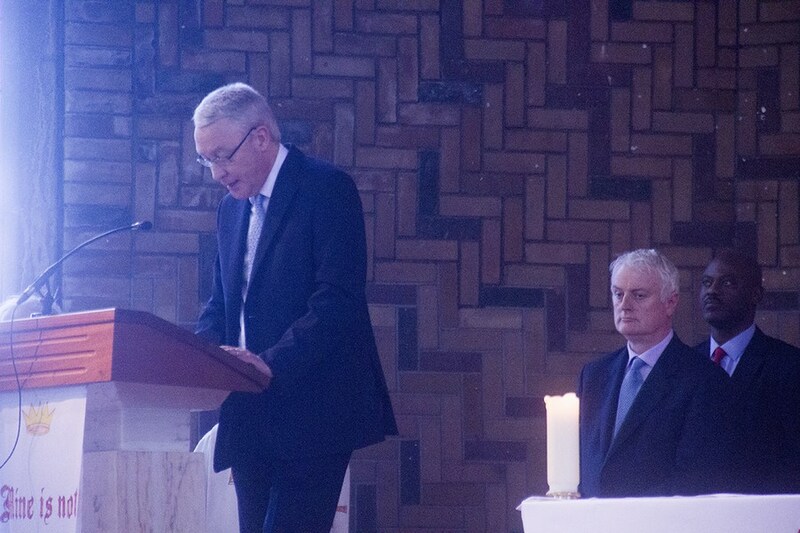 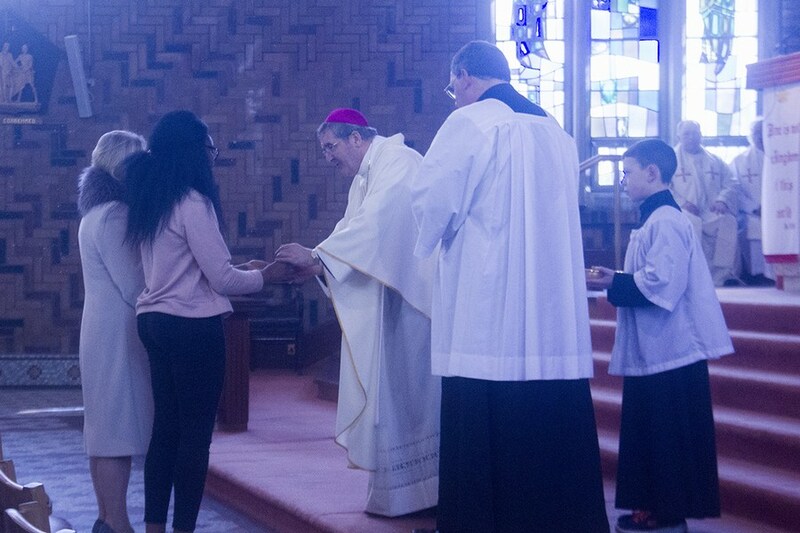 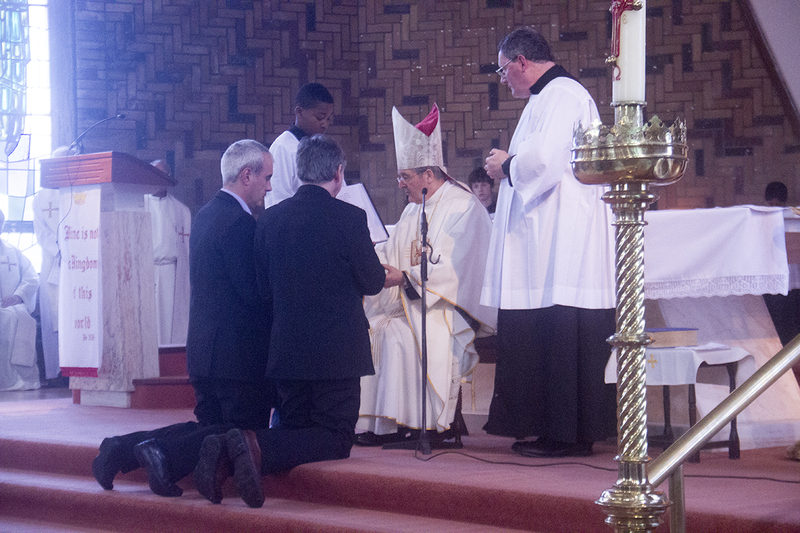 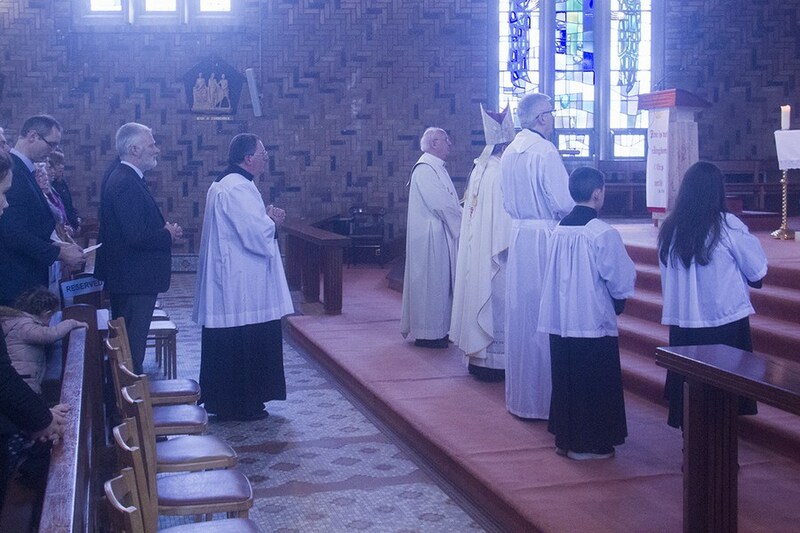 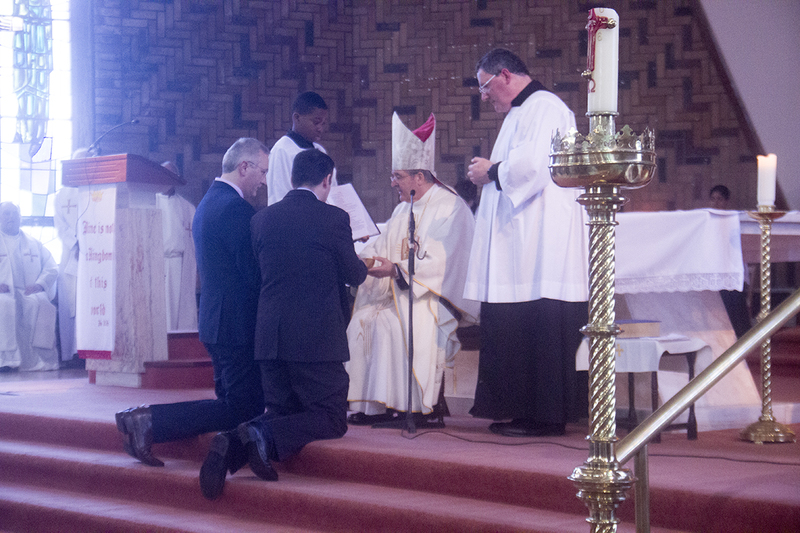 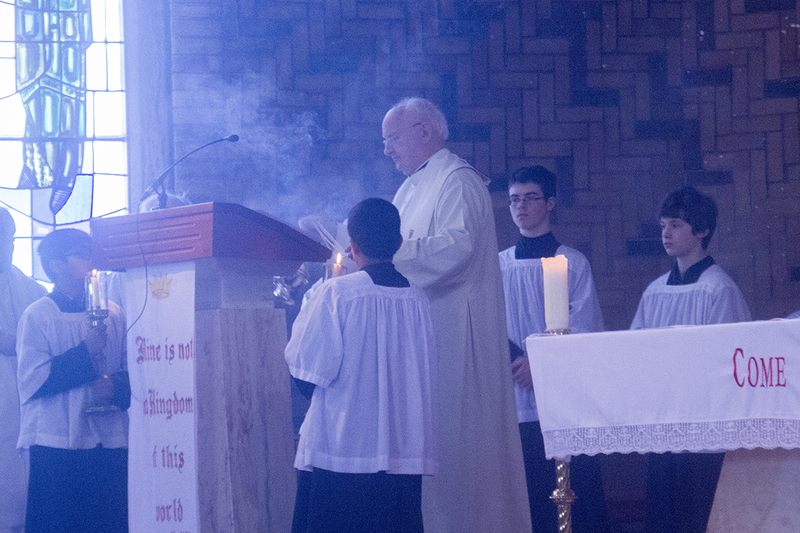 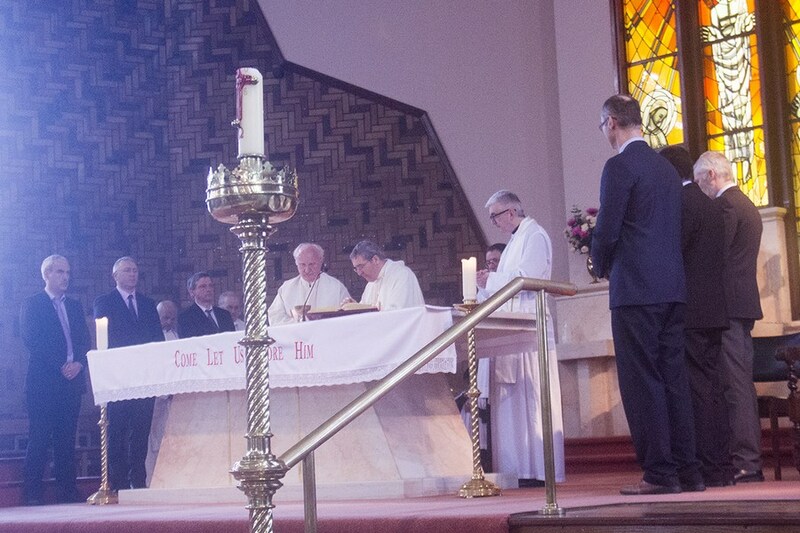 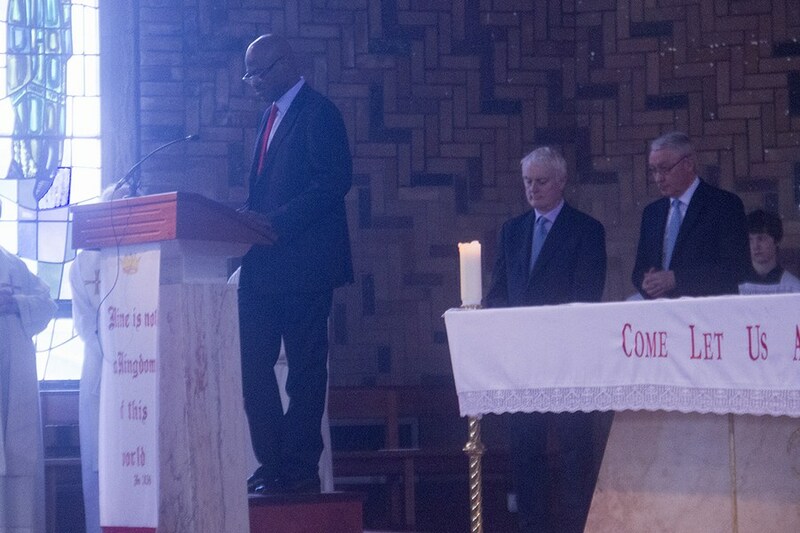 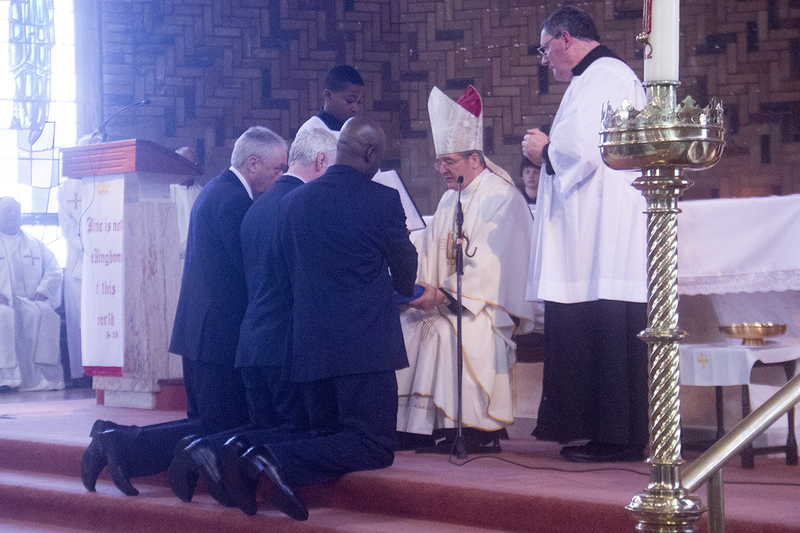 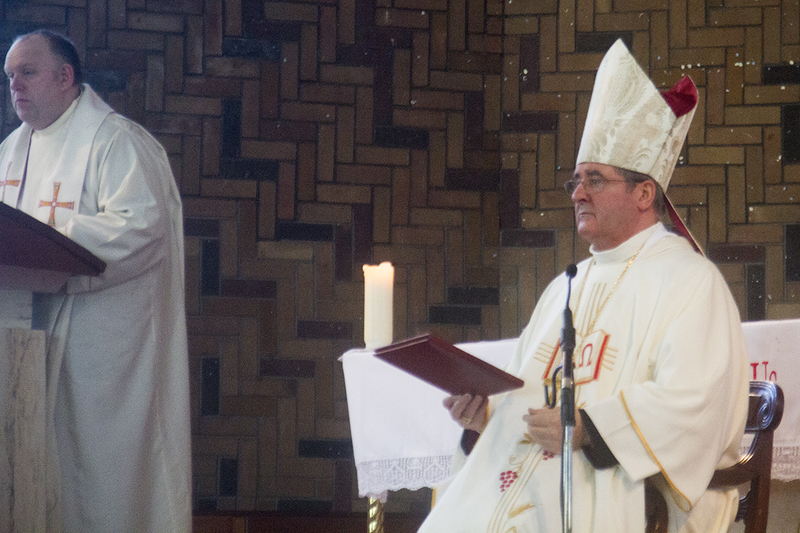 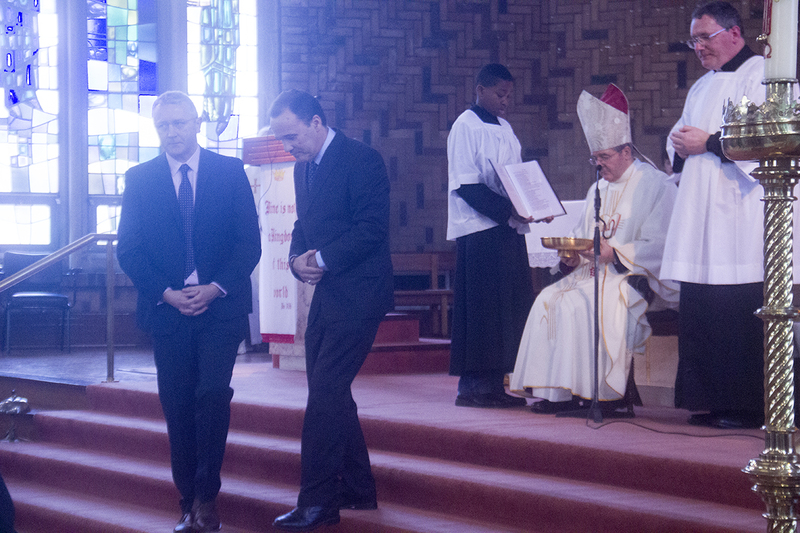 The celebration took place during the 12 noon Mass on Sunday 26th February, at the Church of the Resurrection, Mallow. 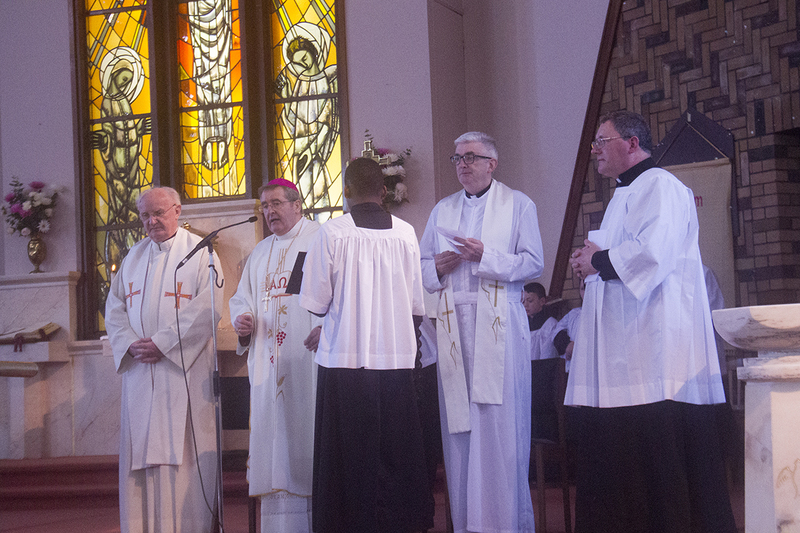 The families of the nine candidates were in attendance, and their parish priests will be invited to concelebrate with the bishop. 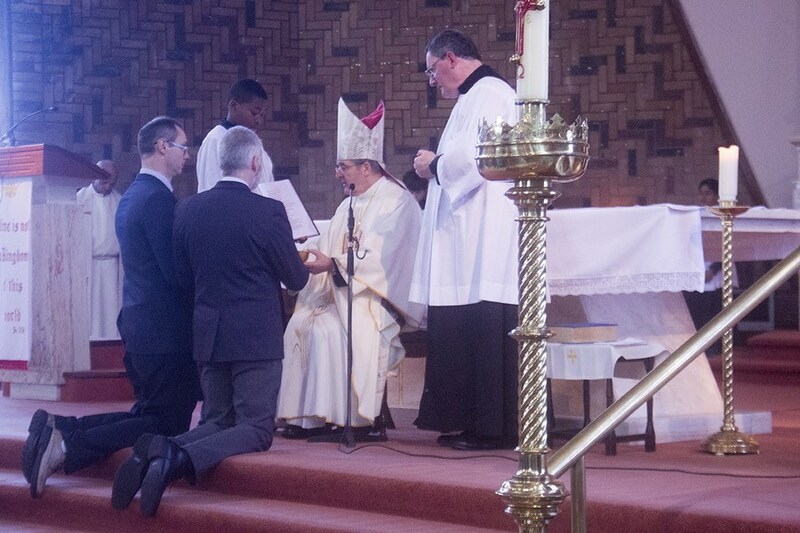 Lectors minister by reading the Word of God and announcing the general intercessions to the congregation at Mass and at other liturgical celebrations, while Acolytes serve in the sanctuary and at the altar during Mass and may also assist the priest in the distribution of Holy Communion. 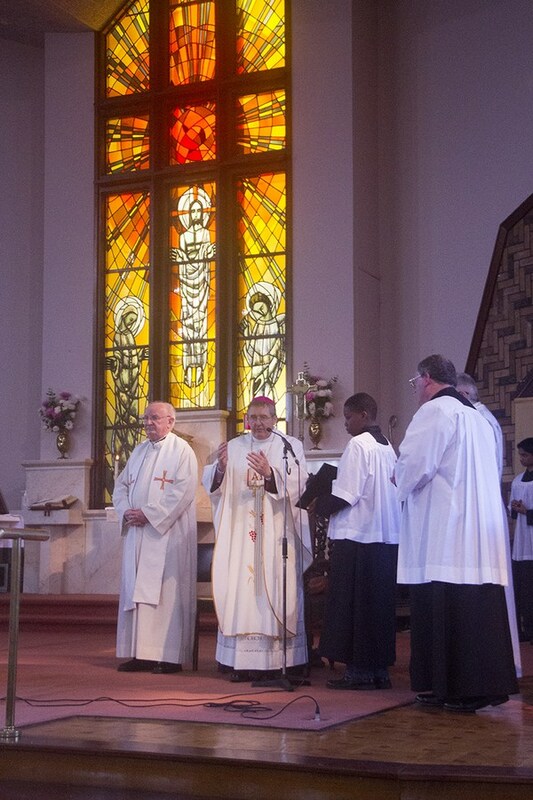 These ministries, which are usually exercised in rotation by lay ministers serving as mass readers, altar servers, and extraordinary ministers of Holy Communion, are traditionally conferred in a more formal and permanent way by the bishop on men who are preparing for service as deacons and priests, as part of their preparation to receive the sacrament of holy Orders. 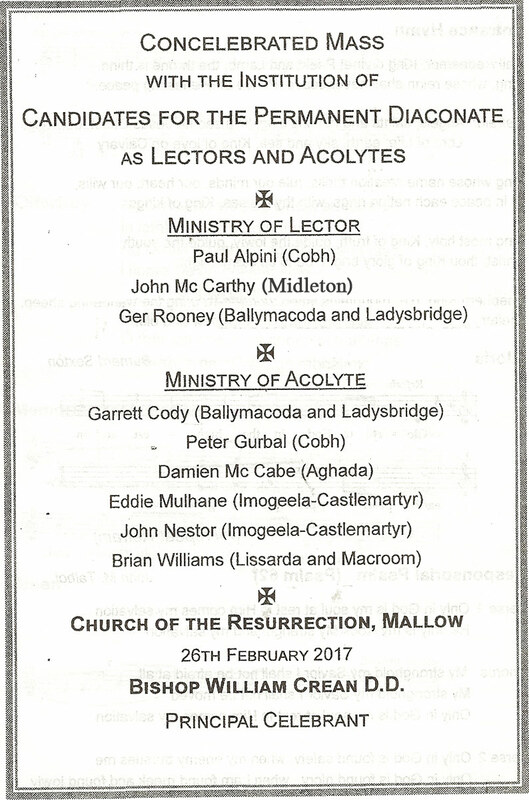 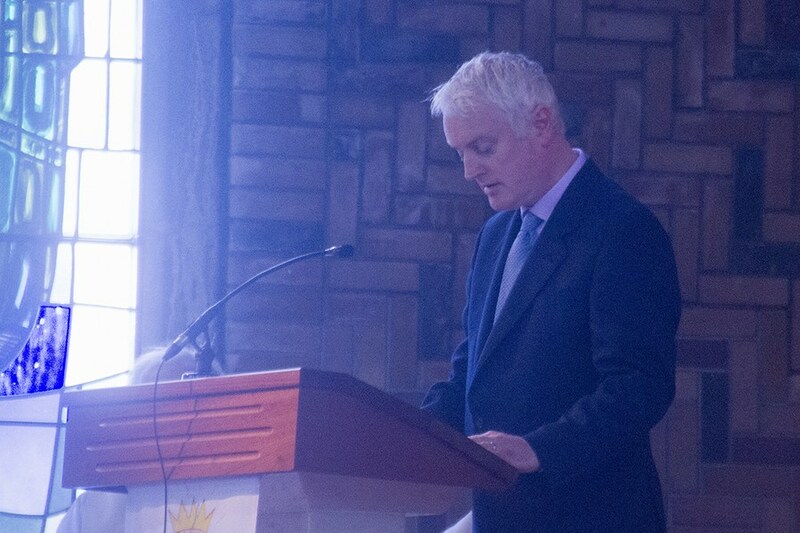 Three of the candidates will be instituted as lectors, and six as acolytes.